Solis Ortus has an invited instructor evening, 3 to 4 times a year, in our senior class. 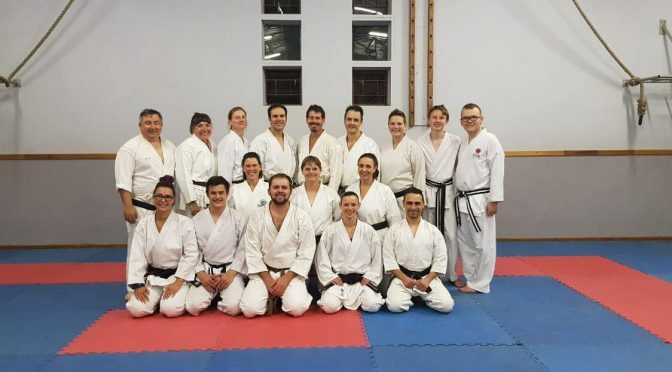 This time around we were invited Sensei Bernard Buys on 7 November 2018. His motto in life is to maintain a disciplined and focused outlook on life; and his quest is: to become fitter, faster, better, stronger and leaner each year. Sensei Bernard presented a very traditional, down to the point basic class to teach us how to improve our kicks. Although basic….basics are the foundation of traditional karate….he broke it down into building blocks and then combined it to execute with speed, control and precision. Sensei Bernard also concentrated how to loosen up the hips and stated that hips play an enormous roll in executing an effective kick. Traditional JKA karate depends on hip movement and that makes our karate more effective and different from other styles. Hip movement, contraction and expansion was of the basics he concentrated on and made us realized how important it is to grade to higher gradings. In line with sensei Bernard’s training session, Solis Ortus is currently preparing for Shodan and up gradings in 2019. 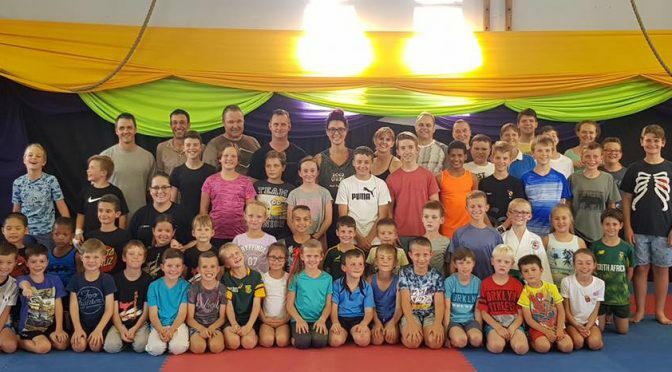 After a hard session, Solis Ortus stood proud to know that our training in the dojo is on par with our current Veteran South African grand champion in both Kata and Kumite, sensei Bernard Buys. Thank you sensei for a great informative session you have presented. We wish you all the best for all your future endeavours and cannot wait to train with you again. Thank you to Sensei Eugene who always go the extra mile to help us improve our karate. Thank you to the late class who always absorbs every little bit of extra information to excel and improve themselves. Also no one can make someone feel more welcome than a Solis Ortus Welcome….one way JKA, JKA one way….Solis Ortus!